In 2015, Abhinav Pathak and Saketh BSV, colleagues at Goldman Sachs in Bengaluru, happened to be in New York on Labour Day—a shopping bonanza when retailers offer steep discounts. But instead of returning with a bounty, they came home empty-handed. "The minimum checkout time was 45 minutes," recalls Pathak. That's when they thought of creating a DIY checkout solution. But it wasn't until another year that they got cracking. With their Perpule 1Pay app, users can scan items in their grocery cart using their smartphones and directly pay for the purchase, circumventing the billing counter. 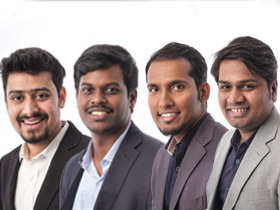 HyperCity was the first big customer for the Kalaari Capital-funded Perpule. 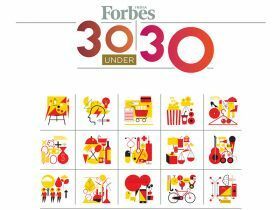 "We thought it was a good innovation for our kind of customer," says the supermarket chain's CEO Ramesh Menon. HyperCity has rolled out the solution in all of its 20 outlets across India and also launched the country's first self-checkout, cashier-less store in Hyderabad. At Rs 1,800, average cart sizes are 45 percent more than those of customers who queue up, claims Pathak. Today, Perpule is in use across chains like More, SPAR Hypermarket and Max Hypermarket, has 100,000 active users growing at 30 percent month-on-month and makes money by charging retailers a fixed fee as well as a percentage of every sale. 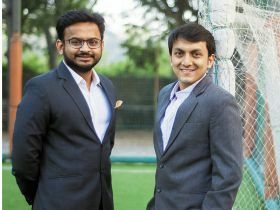 The quartet (Yogesh Ghaturle and Sathya Narayanan joined as co-founders shortly after the initial two started out) is now leveraging the customer data it has gathered to make the shopping experience more personalised. Even as ecommerce sales leap ahead, as Pathak puts it, "offline is a huge opportunity". And Perpule is just getting started.